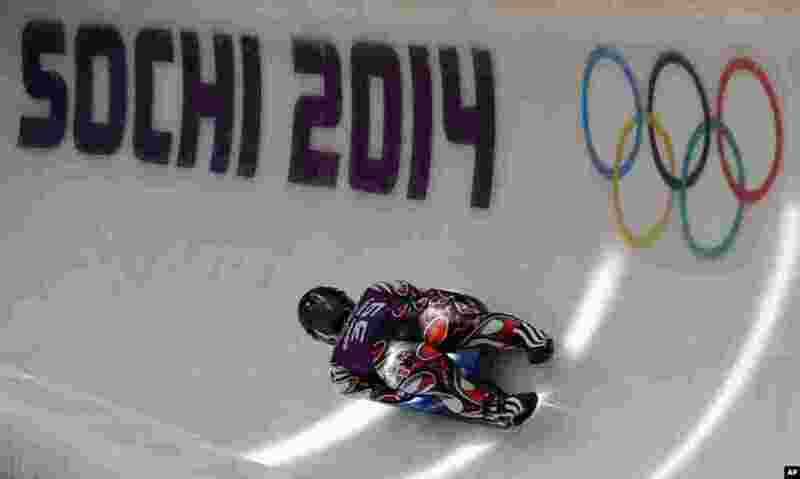 1 Hidenari Kanayama of Japan completes a training run in the men's luge singles ahead of the 2014 Winter Olympics, Feb. 4, 2014. 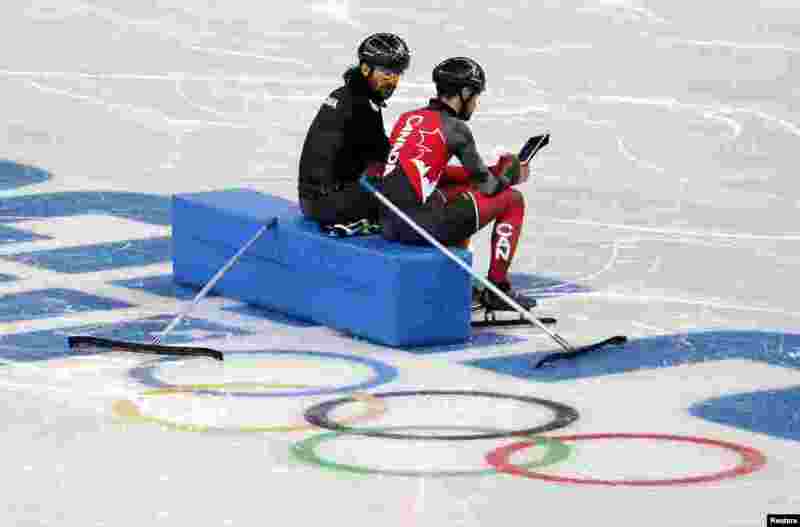 2 Canadian short track speed skaters and brothers Charles and Francois Hamelin watch a replay of their training on an iPad at the Iceberg Skating Palace, Feb. 4, 2014. 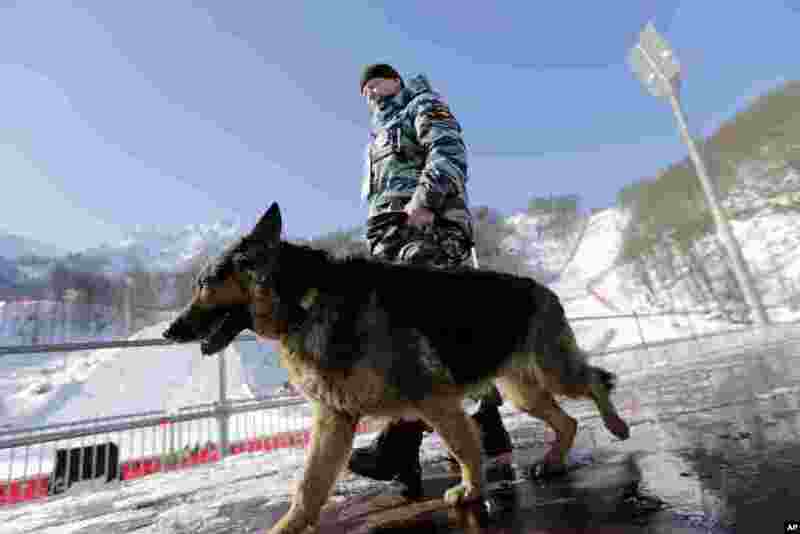 3 A Russian security forces K-9 officer patrols with his dog near the finish area of the Alpine ski course ahead of the 2014 Sochi Winter Olympics, Feb. 4, 2014. 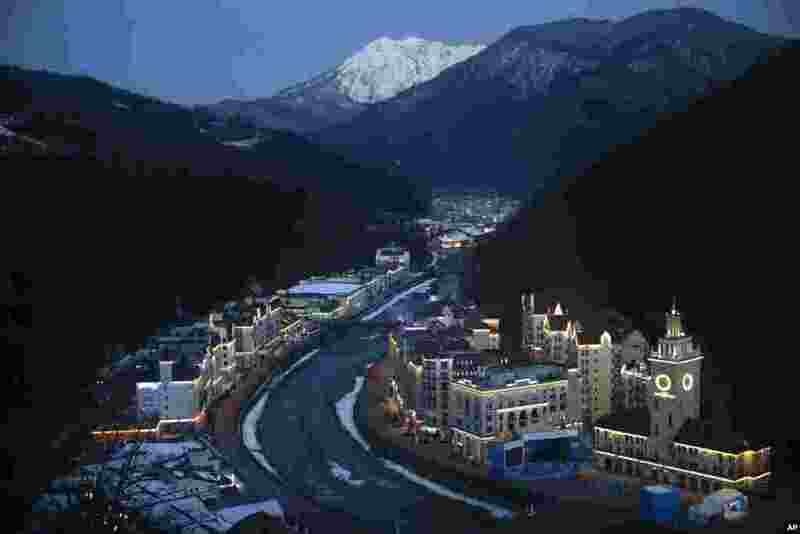 4 Rosa village is seen from a gondola prior to the 2014 Winter Olympics, Feb. 4, 2014.